The city of Pune in western India is known for its educational facilities, having more than 100 educational institutes and nine universities. Facilities in most colleges are sparse. There are lots of institutes and universities that offer various professional courses to the students. The Savitribai Phule Pune University was established in 1948. Spread over a comprehensive 400 acre (1.6 km²) campus, the university is home to 46 academic departments and several important research institutes, including the National Centre for Radio Astrophysics (NCRA), Inter-University Centre for Astronomy and Astrophysics (IUCAA), National Chemical Laboratory (NCL), National Centre For Cell Science (NCCS), National Institute of Virology (NIV), Gokhale Institute of Politics and Economics (GIPE), Ajeenkya DY Patil University and Dnyaneshwar Vidyapeeth, Purandar Vidyapeeth among others. Find list of top Engineering colleges in Pune for the academic year 2017-2018. Get detail of courses, Institutes of BE Engg colleges, cut off list of engineering colleges in pune 2016, Fees structure 2017-2018. admission process of engineering colleges in Pune. 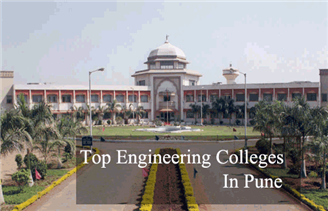 Top Engineering colleges in Pune- visit Singheducation.co.in and find top engineering colleges, BE colleges and Private and Government engineering institutes in Pune, Maharashtra. With admission process, cut off list, colleges ranking, infrastructure, contact detail, campus placement and more.